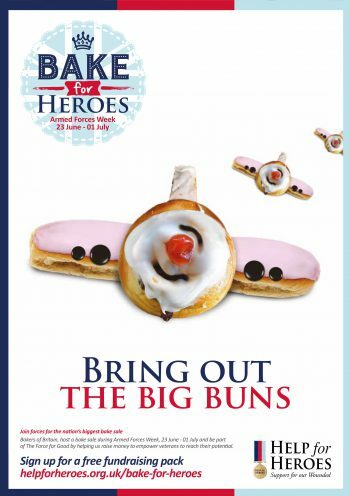 Baking has been part of Help for Heroes' fundraising portfolio since the charity's earliest days back in 2008. 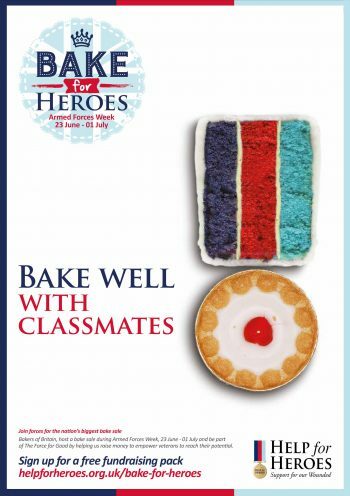 Initially a SOE / DIY product, Help for Heroes stepped up their commitment to 'Bake for Heroes' in 2014, when they started pushing the product as a national campaign. 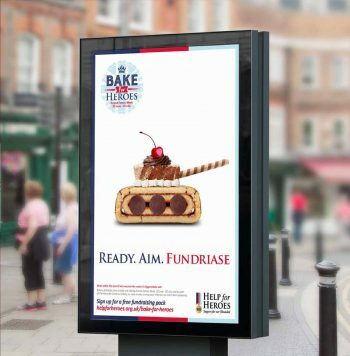 With some impressive celebrity endorsements, Help for Heroes had great early success with 'Bake…' and it became a key part of its mass participation product offering. However, in recent years the charity has seen both participant numbers and overall income fall - with the market becoming saturated with 'baking' products, it is getting harder and harder for charities to establish cut through. 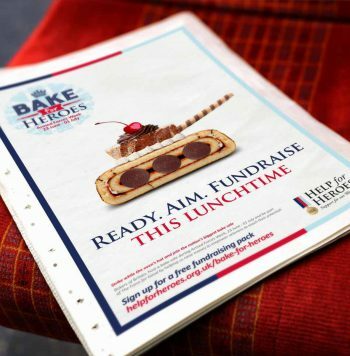 Help for Heroes were looking for a creative agency to help them re-invigorate 'Bake for Heroes' by refreshing the proposition, alongside coming up with a new, innovative and eye-catching approach to the creative. With 2018 being the 10th anniversary of Help for Heroes, the charity was looking to make a statement with this product - reminding the public of the important work it does, while galvanising existing support and directing it toward a mass participation fundraising activity. Killer simplified and strengthened the product’s central proposition, leveraging warmth towards the charity by framing the event as 'The nation's bake sale’. Using a playful creative we communicated a sense of fun while promoting the charity's core values and military focus. This meant 'Bake for Heroes' could appeal to a wider group of warm audiences (e.g. existing supporters, corporate partners, schools) as well as reach new supporters (both groups and individuals). A supporter journey plan was also created for the client with an emphasis on stewardship and retention - for mass participation events with flexible dates it is crucial that every participant gets a similar supporter journey, no matter what stage in the process they signed up to take part. Bake for Heroes was held during 'Armed Forces Week' in June 2018, taking advantage of the halo effect of the week's activity to increase both participation and income. The newly launched 2018 campaign achieved 1,100 sign ups compared to 510 in 2017. 50% were new to the charity, showing that the creative has the potential to pull in new supporters.